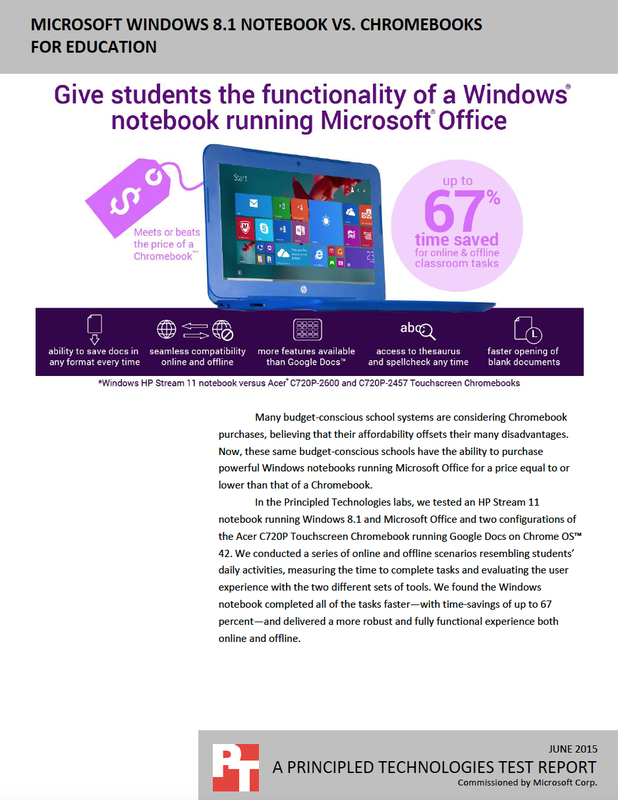 DURHAM, NC--(Marketwired - July 17, 2015) - Principled Technologies (PT) used classroom simulations to compare an HP Stream 11 laptop running Windows 8 to an Acer C720P Touchscreen Chromebook. PT found the HP laptop could save students time and offered more functionality than the Chromebook. Plus, the HP laptop offers the ability to work offline, which can mean huge savings in bandwidth costs. To learn more about how your classroom could benefit from the HP Stream 11 with full Office 365 functionality, read the full report at facts.pt/1OkcSsy.